Whether you are looking a full-frame camera? 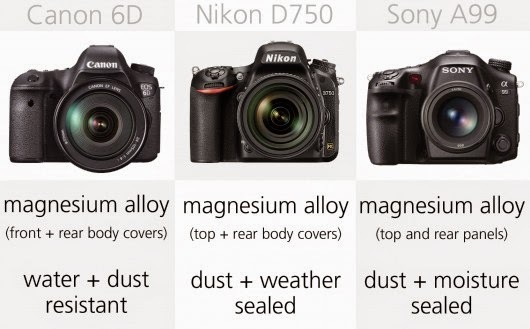 It seems you can choose the Nikon D750 or Canon EOS 6D. 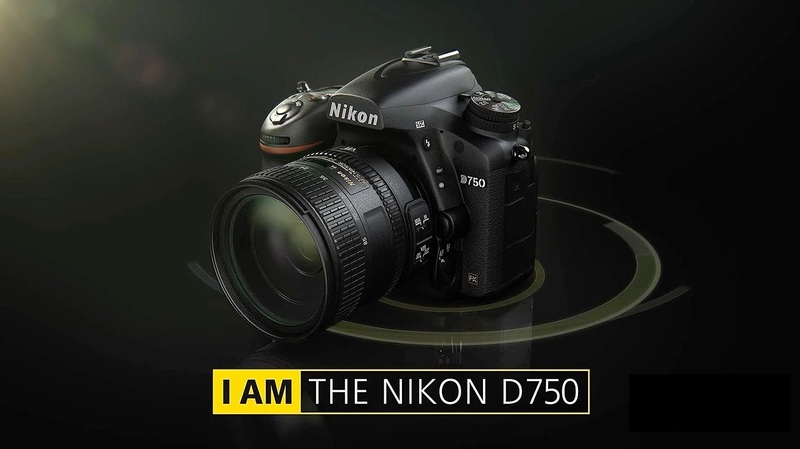 The professional photographer and novice photographers have got a surprise from Nikon, as well as the main competitor, Canon, which in September 2014 Nikon has launched the Nikon D750. Rivalry between Nikon and Canon cameras, or often conditioned as Canon vs. Nikon. The comptetion indeed is very interesting to observe, either by those who want to buy a DSLR camera for the first time, as well as by the enthusiast photography in general. Or you are fed up with this stuff? If you are not a fanatic user, you might consider mirrorless camera or camera DSLM, even prosumer camera for you make as a companion. On this occasion, perhaps it is better if we compare with the D750 Canon EOS 6D. Incidentally, the two cameras are classified as Mid-Size DSLR camera. Both cameras have Full frame sized sensors, Canon 6D has a 20 MP resolution and Nikon D750 has a 24 MP. Does the resolution or a camera sensor will affect your decision to choose one of these great kemera? Both the Nikon D750 and Canon EOS 6D turned out to be overshadowed by the Sony A99. But okay, let's see what are the privileges of the EOS 6D and D750. In addition to the specifications as mentioned above, the Canon EOS 6D is older, where the EOS 6D launched in December 2013. Is there a significant difference if the Nikon D750 should be compared with the technological aspects of the Canon 6D? The Nikon D750 offers superior image quality with an effective pixel count of 24.3-million pixels, the EXPEED 4 image-processing engine, plus a new Nikon FX-format CMOS sensor. The D750 also features an improved version of the 51-point AF system from the D810, a 6.5fps maximum frame-rate, a vari-angle LCD plus built-in Wi-Fi. The Canon 6D also boasts GPS and Wi-Fi capabilities. The built-in Wi-Fi allows users to transfer images and videos to smartphones, tablets, or direct to online services including Facebook and YouTube. Nikon D750 has an advantage over Canon 6D There are 235 lenses for Nikon D750's Nikon F mount, on the other hand there are only 183 lenses for Canon 6D's Canon EF lens mount. If you notice, then there is the same thing both sophisticated camera's body, where the D750 and the EOS 6D equally reinforced with image stabilizer. You have to rely on the lens you'll use should have image stabilization. Currently there are 75 lenses for Nikon F mount and 54 lenses for Canon EF mount with IS. However, you do not need to worry because you can choose a third-party lens manufactured by Sigma, Tamron or Tokina. Factories such as Tamron lens, Tokina or Sigma also makes lenses for Canon and Nikon, which is widely used by both novice photographers and professional photographers. Make sure you choose a lens that has been equipped with IS (Image Stabilizer). 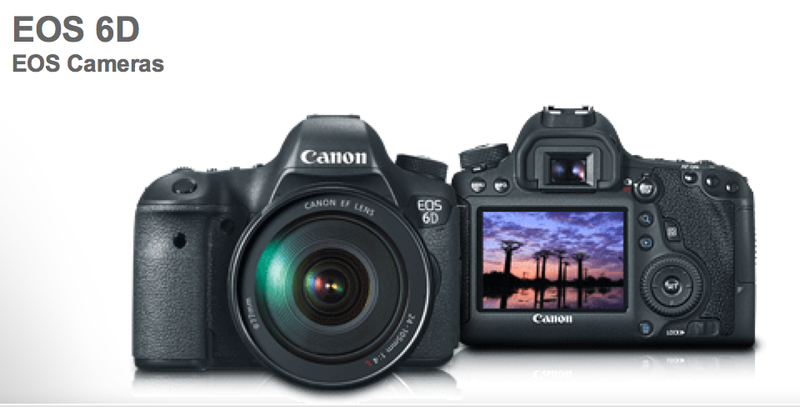 On the video side of things, the EOS 6D offers full manual control over exposure and audio levels while recording video. The D750 shares essentially the same movie capabilities of the higher-end Nikon D810 which means it offers 1080p up to 60p, manual control over exposures, full-time continuous autofocusing, headphone and microphone jacks, manual audio levels, clean HDMI output, and Auto ISO options. In essence, both the Canon EOS 6D or Nikon D750 is a camera that you can use for indoors or outdoors, for example, to shoot the beautiful models in the studio. Of course, the D750 and the EOS 6D is also very qualified to be used for scenery or landscape photography, sports, photojournalism, even for pre-wedding photo shoot, and weddings and family occasions. Basically, both the Canon EOS 6D or Nikon D750 is the best camera in the ranks of the middle class photography to the high-end. Whichever you choose, then you definitely have taken the right decision. According to the photographer wise, like a soldier or policeman, advanced arms is important, but the most important is who is behind the guns. If you are not too fanatical to Canon or Nikon, then you can consider mirrorless camera or DSLR cameras are increasingly gaining attention within the young photographer, and can reliably produce brilliant photographs, sharp and full-HD video, you can even get a camera generation the latest that can record video or film in 4K resolution. Wow.